Enjoy a relaxing holiday vacation at Priest Lake by staying at Elkins Resort. Take part in outdoor winter activities, holiday events, and enjoy warm drinks to sip by the fire. Celebrate with Elkins Resort on Priest Lake and escape to your own winter wonderland this holiday season. Our own Trapper Creek Lounge will be offering crafty libations this holiday season with their spiked hot chocolate and hot toddies, sure to keep you warm this winter! Enjoy seasonal specialties such as Braised Beef Short Ribs, slow roasted with a cabernet demi-glace. this winter and don’t forget you can order a freshly made pizza from our wood-stone oven. While our dining room will be closed on Christmas Eve and Christmas Day, we will be hosting a special menu for New Year’s Eve. Come see what our chef has whipped up to help us ring in the new year! Snowmobiling at Priest Lake is a favorite winter activity amongst locals and tourists alike. Elkins Resort offers miles and miles of groomed snowmobile trails right outside your cabin door! You don’t have to go far to experience the mountainous terrain of the Selkirk Mountains as we are located just minutes from two main trailheads. Trails weave their way up 7,000 ft. mountain peaks, offering breathtaking views of Priest Lake. If this is your first time on a snowmobile, be sure to check out our snowmobiling basics to help you get started. Whether you enjoy hiking, biking or snowshoeing, winter at Priest Lake is a great time to get out and explore the many trails the area has to offer. While it may be a bit colder outside, winter can often be a more peaceful time to enjoy the outdoors. With a blanket of snow covering the ground and a fresh dusting of snow resting on bare tree branches, escape to your own winter wonderland by exploring the trails at Priest Lake. For years Elkins Resort has been a host to many wedding and holiday parties. 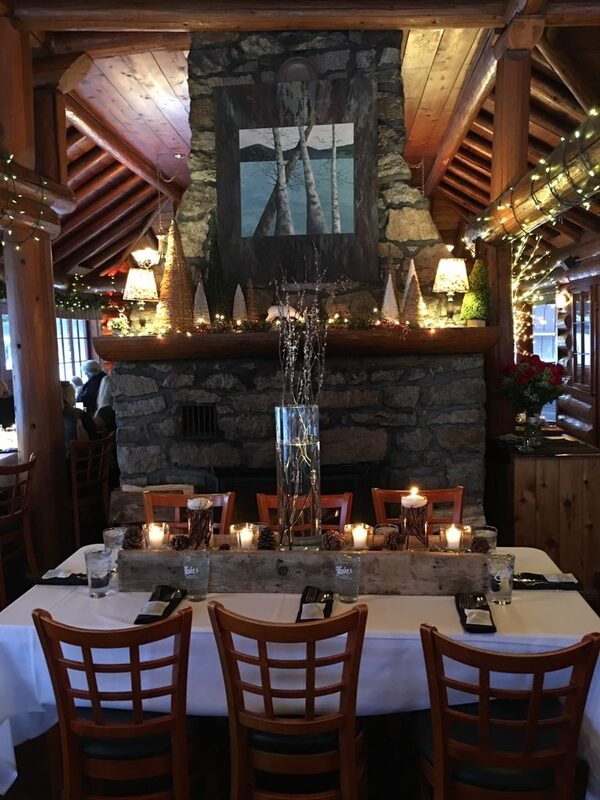 Whether you are looking for a place to host your company’s Christmas party or holiday weekend retreat, let Elkins Resort do the planning and preparation for you. From gourmet dining events to weekend getaways with entertainment and activities, we have you covered. Learn more here about how Elkins Resort can help host your next holiday event. Can’t decide on what to get your loved one for the holidays? Why not give them the gift of travel and purchase one of our gift cards? Recipients can use their gift card to our restaurant, gift shop, and of course to book a well-deserved getaway to Priest Lake! It is a great way to say I love you! Cozy up this winter and stay in one of our cabins on Priest Lake. Choose from larger cabins, sleeping up to 14 people, or a more intimate cabin for two. Stay extra warm this winter and stay in one of our cabins with a warming fireplace. Guests can also enjoy seasonal rates for an affordable holiday getaway to Priest Lake. So, start planning your holiday vacation and book your stay with Elkins Resort today!